Dr. Erika Duggan & Dr. Doug Clark are dedicated to excellence in providing your complete eye care needs. We know how much your eye health and appearance mean to the quality of your life. Our optometrists are trained, conscientious professionals with the most up-to-date knowledge and equipment. The doctors and staff have years of experience and are here to serve you. The American Optometric Association recommends that everyone receive an eye exam at least every year. Since many eye diseases do not demonstrate early symptoms, an annual eye exam is one of the most important diagnostic and preventative measures you can take to ensure healthy eyes and good vision. Envision Eyecare is based on the philosophy of providing comprehensive vision care. We strive to provide each patient with quality vision solutions and exceptional customer service. Our staff and eye care professionals specialize in understanding all aspects of the eye and vision. We also take great pride in getting to know you and your visual demands. We understand that your time is valuable. Therefore, efficiency and accuracy are paramount. From the impact of blue light to myopia, and glaucoma to stroke signs we make sure our staff and technology are always leading the pack. We have the latest technology including Ocular Coherence Tomography (OCT), Optomap Retinal Imaging, Corneal Topography, and Shack-Hartmann Aberrometry. We realize that looking good is feeling good and increases confidence. We are constantly researching quality frames that will be strong and comfortable and give you that unique look. This was my 3rd visit. I absolutely love Dr. D and her staff. They are very friendly, professional, and make me feel welcome with each visit. Debbie is great!I love this place and will not go any place else for my eye care. I appreciate them all. Thank you, Sandra for taking care of my glasses needs. I brought in my own frames and Sandra was able to assist me with finding a lens pattern. Picked up my glasses today and they look and feel amazing. Thank you again Sandra. This is a great office. The staff is very professional and helpful and Dr. Dugan is fantastic. I had a difficult situation with my right eye that was not able to be resolved at another different doctors office in town but Dr Dugan and her team were able to fit me with a contact lens that fits right and improves my eyesight. This is a great practice that I would recommend to anyone. 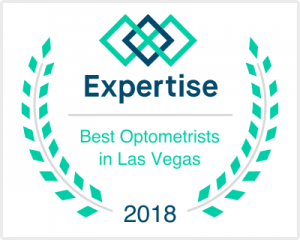 I have used a couple of ophthalmologists in Vegas, and have really liked them all. 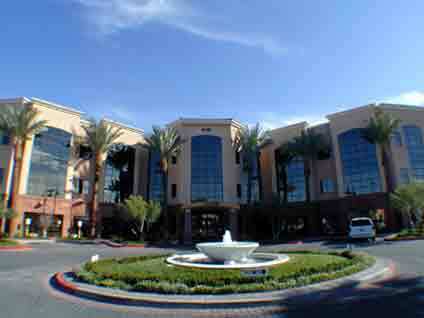 However, I moved to Southern Highlands and was referred by a coworker to go to Dr. Duggan. WOW. Am I glad I made the switch! She is AMAZING. Dr. Duggan is so personable, listens, explains and takes her time. She treats you more like a friend than a patient, and I trust her immensely! I highly recommend Dr. Duggan! Thank you for all that you have done for me already! Highly, highly recommend this office! Dr. Duggan is fantastic! I recommend her to everyone I know. She is personable, funny, and genuinely cares about her patients. She remembers me and never makes me feel judged for coming in, even about the small stuff. Sara, her tech, is great is as well! Staff at the front is friendly and gets me in quickly when issues arise (usually the same day). Highly, highly recommend this office!